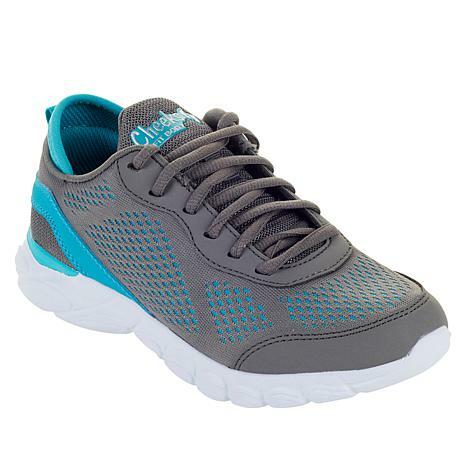 Train in comfort wearing an sneaker designed for optimum stability, cushioning and support. 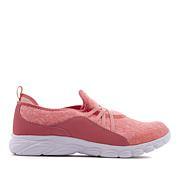 Along with this versatile athletic shoe, you get a trio of useful resources to help you achieve your fitness goals. For the best experience with your Cheeks, start off wearing them for 20 or 30 minutes per day. 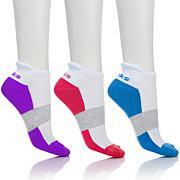 Gradually increase the length of time you wear them every few days. Please consult your physician before beginning this or any weight loss or exercise program. Tony's done it again! These shoes are so comfortable. I am a teacher and on my feet on concrete floors all day - and I am in my 60's! My feet do not hurt one bit after teaching all day. And I wear them to walk my dogs one mile each evening when I get home. Thank you Tony! I bought the blue and the white pair of these. This is the first Cheeks shoes I've bought. I love them. They are cute but also they are very comfortable to walk in. I have worn them to work and also to do walking dvds. They feel good on my feet and I think they look good to. I love them and the tsv price was very good. I was leaving for a trip in Europe and had not located some great shoes to take for all the walking you do there. I have had a different pair of Cheeks shoes that I truly loved to death, so two days before I left I happened to luck into the TS. I overnighted them and wore them one day before I left and they were truly the BEST shoes I have ever owned. I walked CONSTANTLY and for long distances in London, Throughout England, Scotland, and Amsterdam. I had no back or feet fatigue.....saved me! I ordered the white, loved them so much I went back for the black. Super lightweight, really! I love Tonys pillows and all of his footwear! These sneakers are so comfy. I bought the 9 wide and they fit perfectly. I have a bunion on my right foot and it doesn't bother me at all. I will buy another pair - oh but what color to choose.